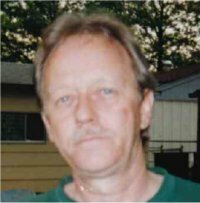 James Boyd Leader, 71, of Belleville, Illinois, born Sunday, January 19, 1947, in Piggot, AR, passed away Tuesday, January 15, 2019 at his residence. James was a retired Electrician, member of IBEW Local 309, and an avid motorcycle enthusiast. Services: A Celebration of Life will be held on Sunday February 3, 2019 at Crehan’s Irish Pub 5500 North Belt West in Belleville, IL. Private Interment was held. Thank you for getting us started up in this whole, crazy world of motorcycles again, 17 years ago! Because of you, we have this beautiful Harley in our garage. We wouldn’t have it, if it wasn’t for you! For this, we will always be truly grateful for you! You will be missed! Rubber side down, Jim, as you ride the heavens! So sorry to hear f Jims’s passing. The family will be in our thoughts and prayers as well as the many that knew him. May you rest in peace my awesome friend! I was honored to share so many miles, stories and laughter with you. Thank you for the respect you always gave me. May the highways of heaven be everything you ever imagined! Till we ride again…. We have a ton of good memories in all the years of being in the wind with you. Thanks for your company and RIP with wind in your hair. It was great riding and carousing with you. May the wind be with you always my friend. Rip Cousin! Thanks for all the memories and please kiss my momma for me! Love you! The world won’t be the same without you. You were a good friend. RIP buddy. We had alot of great times. My deepest sympathy to your family and friends.